Kellogg Dean Sally Blount speaks at a town hall in November 2016. Blount will step down as dean and take a one-year sabbatical at the end of this academic year. Kellogg School of Management Dean Sally Blount will step down from her position after this academic year, Provost Jonathan Holloway announced Thursday. Blount, who oversaw the fundraising for the Global Hub, was also the first woman to lead a top business school, according to a news release. Blount (Kellogg ’91, ’92) became dean in 2010 and launched a seven-year plan called “Envision Kellogg” to transform the business school by recruiting faculty and raising funds. 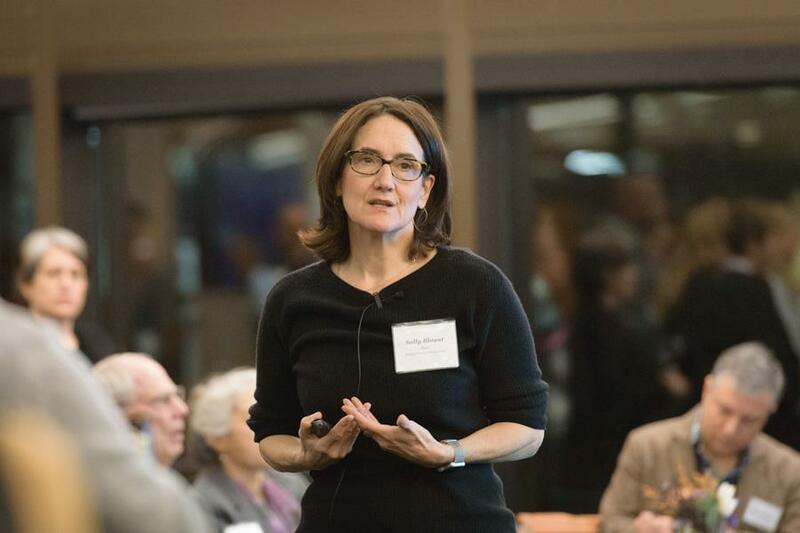 Next summer will mark 30 years since Blount attended Kellogg as a graduate student, and she will return to Northwestern’s faculty after a one-year sabbatical, according to the release. Holloway will lead an international search for Blount’s successor, the release said.